We are Nevada’s premier pool financing partner! How do you beat the Nevada heat? If you’re a resident, you know that the tourist trade is key to the state’s economy, but those throngs of visitors can make it challenging to get around at times, as plane after plane heads for the glittering lights of the Las Vegas strip and other area attractions. Even though it’s sometimes too hot to drive to a community pool, you can enjoy your own oasis right outside your sliding doors with a refreshingly cool pool. Lyon Financial is excited to announce our pool financing programs to the state of Nevada. Whether you live in Reno, Vegas, or Carson City, constant construction is a familiar sight. But, you can now launch an affordable construction project in your backyard to improve your home’s value and enjoy the peace and quiet of a private resort. 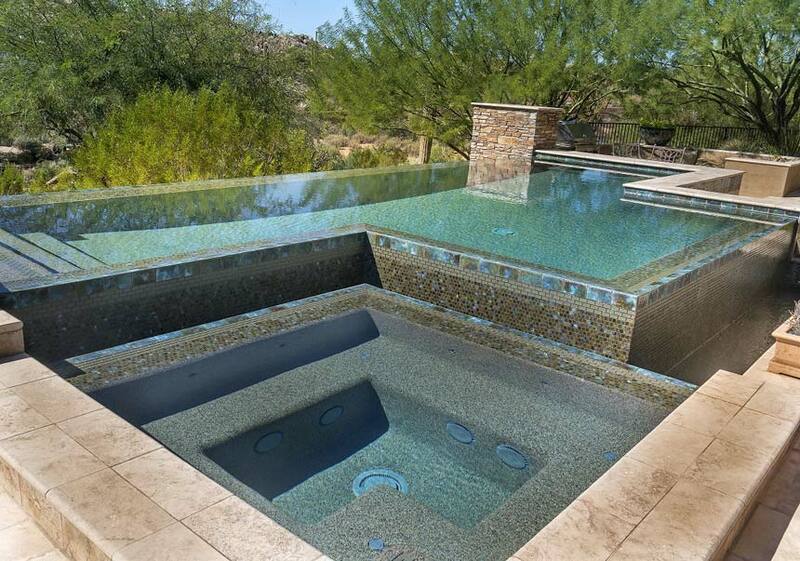 Considerations unique to this construction is what separates pool loans from any other home improvement products. Our unsecured swimming pool program has no closing costs, no points, no upfront or consultant fees, and no pre-payment penalties. While banks, credit unions, and investors try to develop programs, they do not truly target a borrower’s specific needs. This is our area of expertise. In most cases, you’ll receive your approval within 24-48 hours and it will always be supported by a seasoned professional. Lyon Financial has specialized in funding this revitalizing amenity for over four decades. Bottom line, we know your pool financing is best served by professionals who handle these specialized loans. We love the difference we can make for your family by providing something that puts years of memories within reach. *The APR listed is for an unsecured loan between $25,000 and $75,000 with a term of 180 months or 240 months, for applicants with excellent and substantial credit (including -- but not limited to -- a minimum credit score of 800 and a debt-to-income ratio/"DTI" of 50% or less). Your APR may differ based on loan purpose, amount, term and your credit profile. Subject to credit approval. Conditions and limitations apply. Advertised rates and terms are subject to change without notice. Exact interest rate determined by credit profile. Longer loan terms will result in higher rates. Lyon Financial acts as an Account Manager and is not a lender or a broker. The information you provide to Lyon Financial is not an application for a loan from Lyon Financial. Lyon Financial does not endorse, warrant or guarantee service or products of any lender or broker and does not guarantee and makes no representations of any rates, points, and loan programs offered by affiliates. This is not an advertisement for credit as defined by 12 CFR 1026.24. All information is subject to change without notice. An inquiry you submit to Lyon Financial is for the purpose of obtaining additional information regarding a potential loan provided by a third-party lender under terms & conditions arranged directly between you and such lender, and conditioned upon the completion of all credit documentation. Lyon Financial is not responsible or liable for any products, services, information or other materials displayed, purchased, or obtained as a result of or in connection with this web site, including, without limitation, any agent referrals, loan recommendations, application, approval, pre-qualification, load or interest rate analysis. Lyon Financial recognizes that there may be differences in interest rates based in loan amount, credit history, geographic location, and other factors.